"Tell me the story so far" were the words Evan Hunter heard each morning as he sat down to work with Alfred Hitchcock on the screenplay of "The Birds". "Me and Hitch" provides a rare glimpse of Hitchcock's very particular working methods, as well as insight into his film-making process. 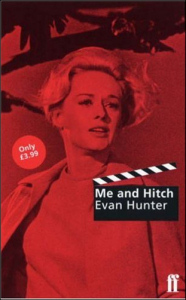 In his tale of working with Hitchcock, Hunter - who writes crime novels under the name Ed McBain - is as frank as he is illuminating, describing his experience in a manner that is vivid and entertaining. Ed Bishop narrated a version of the book for BBC Radio in 1999.